We would love to help you build your dream deck. A home without a deck seems like it is missing something. 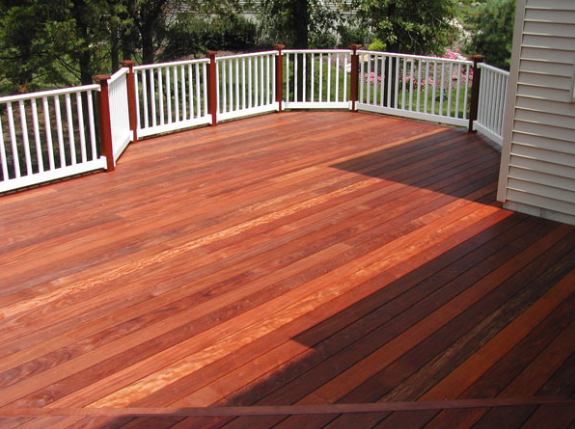 Custom decks are an architectural addition that increases the functionality and beauty of your home. Plus it allows you the chance to enjoy the great outdoors from the comfort of your own home. Make Plans before Jumping in to Deck Project: Decks are platforms that are usually made of wood or a similar construction material. If it is made of wood, then expect to use cedar, pressure-treated pine, and redwood. Decks are usually attached to houses, but they can also be some ways off and freestanding. Since decks usually take advantage of a view or an ambiance, they can also be raised from the ground, requiring rails. When building a deck, you should be aware of what insects are around and what the seasons all year-round are so you can choose the kind of building material that makes the most sense when it comes to building one in your area. It should also be noted that decks are particularly useful if you have property that has a slant or slope, so you can create a flat area that can be used. Relatively Cheaper – Even if you think the costs are too high, think of how much it would be to make an additional room. Aesthetics and House Value – Aside from making your house look good and expanding it, it also raises the value of your house on the market, particularly if the deck takes advantage of a good view. A deck may look like a luxury, but it could be what you need to make your house breathe. It will give your family, friends, and guests some welcome space. Follow the next blog for the following steps! If this has inspired you, call our professionals today!